It’s time to have fun with apples! 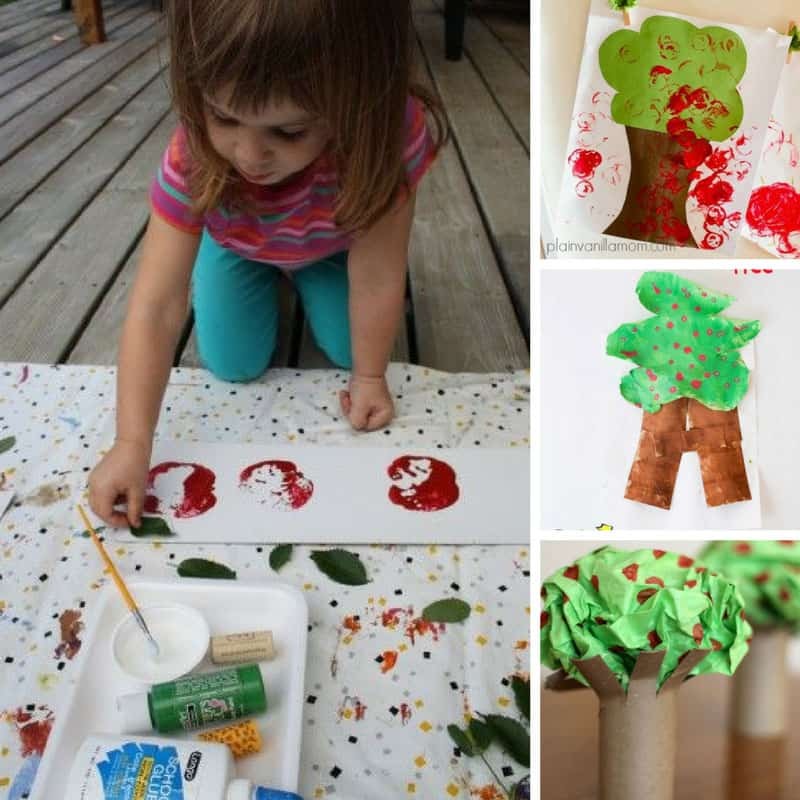 This collection of apple activities for preschoolers features a a tissue paper apple tree and messy play with apple stamping! This week I’ve rounded up some of the best fine and gross motor skills activities and easy apple crafts for kids I could find. And as usual I’ve thrown in some links to Apple themed printables, books yummy snacks so you have everything you need for an Apple Tot School for your toddler or preschooler. In our house we have a rule that when a child comes to you with a book you stop what you’re doing and read it together. I’ve lost count of the number of times Master J and I have snuggled up on the kitchen floor to read a book when I’m in the middle of making dinner! I do this because I love books and I want my children to share that passion. But there are also studies that show that a child who reads for enjoyment every day develops a broad vocabulary and general knowledge and should do better at school than those who don’t. 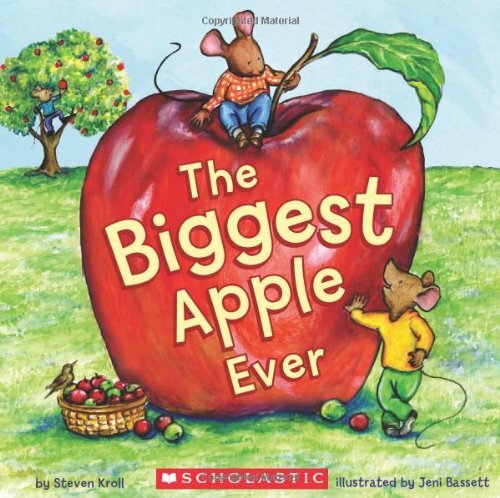 The Biggest Apple Ever Seen is a great book for teaching children about caring and sharing as well as apples. Apples, Apples Everywhere! 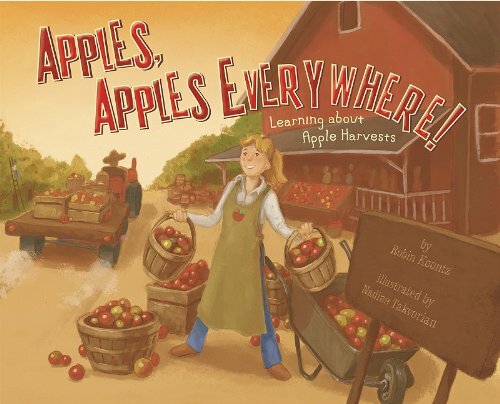 takes you on a trip to an apple orchard where you little one can learn all about how apples are picked and stored, and which apples are best to eat. 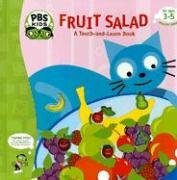 Younger tots will love the touchy feely Fruit Salad, with all it’s raised fruit shapes. Ten Apples Up on Top! is packed full of apple-balancing characters and rhymes to encourage your little one to read, count and giggle. 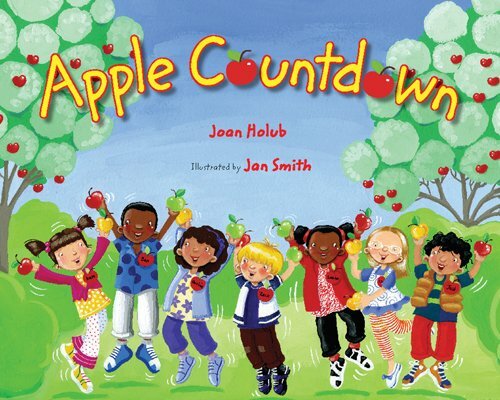 Apple Countdown is a wonderful book that encourages your little ones to countdown from 20 to 1 and even has some simple grouping and addition thrown in. 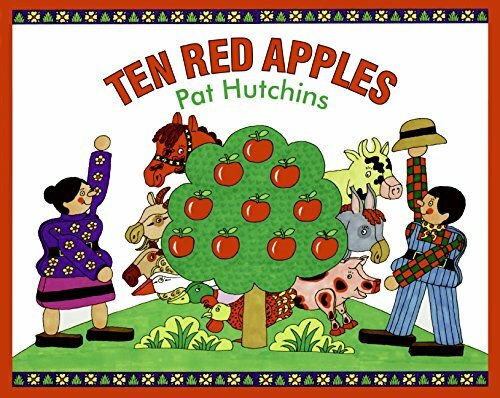 Another great counting book is Ten Red Apples which has a wonderful rhyme that children will enjoy to hear over and over. Fine motor skills are an important part of your tot’s development, because without them they won’t be able to write, grasp small objects or fasten zips on their clothing. Sparkle’s daughter practised transferring apple pom poms to a tree using some small tongs. Sticker activities are a great way to develop fine motor skills as your tot has to master the art of peeling the sticker off the backing and transferring it to the paper. Kristina’s daughter had fun with an apple sticker activity just using dot stickers. Mary Catherine made some apple scented play dough for her preschoolers. She also gave them some pipe cleaners so they could shape their own apples. Asia set up a brilliant fine motor activity for her daughter using toothpicks as a way of building with apples. In fact it looked like so much fun her hubby wanted to get in and build with them too! Samantha took a good old fashioned button snake activity and turned it into a button worm with apples. This is so easy to make but is perfect for a busy bag. I love an impromptu activity and Adam’s Nana came up with the great idea of using a terracotta candle holder to make a apple drop activity, which is a great way to practice sorting and spacial awareness as well as fine motor skills. Dyan picked up some apple shaped acrylic fillers and set up an apple colour matching game for her boys, which kept them occupied for almost 45 minutes, and they even helped each other select the right colour apples! How’s that for fine motor, colour matching and team work all rolled into one fun activity? If you don’t have any acrylic fillers you can still set up a peel and pick alphabet apple tree using apple shaped pieces of paper just like Allison did with her daughter. Kimberley’s son had lots of fun balancing apples on his head. Jaime introduced a gross motor skills game with a twist on apple painting, I won’t ruin the surprise you’ll have to hop over to see it. Whether you have a real parachute or just an old sheet this parachute apple seed game is a wonderful way to get kids moving. Crystal set up a wonderful apple picking game in her garden that is also a great way to practice literacy skills. Shaunna has shared some brilliant apple number cards for sorting, ordering and matching play. Rachael has created some apple play dough mats for exploring the letter A and the numbers 1 to 3. Cassie has a whole pack of wonderful apple printables which includes activities for preschoolers and tots. Jaime has a cute apple scissor skill printable that your little one can cut out and then colour in. I’m itching to do an activity with water beads so this apple sensory play caught my eye. I love the addition of the little apples and the baking equipment to play at making apple pies. Jaime set up her apple sensory play with scented rice which is a wonderful idea. I love how those baby food pouch lids are used as apples too because I have some of those in the cupboard. Cara used oatmeal as the basis of her apple sensory bin and added in some pom poms to represent the apples. How does the idea of a two ingredient apple sensory bin grab you? I love this idea because it’s so simple to set up and shouldn’t make too much mess! Don’t limit the water table to just water, if you fill it with dried green peas and some straw you have the perfect foundation for an apple themed small world activity. Samantha set up a small world apple play using the Fisherprice farm set, and added in her own felt apple trees. Now let’s take a look at some apple snacks that your kiddos can enjoy, but before you rush out and buy any take a look at these handy apple storage hints shared by Candi to help you keep those apples fresh for as long as possible. Anna’s boys had great fun making these easy apple biscuits. Not only do they not have any added sugar, but your tot can help you make them. If you have older children it’s a great way to do some extra maths while having fun! Mitzi has been cooking up some melt in your mouth apple puffs that your tots will love. And make sure you hop over to check out the recipe because the secret is in the pastry. Natalie used snack time to help her daughter learn more about apples by having an apple taste test. Heidi shared the directions for making dehydrated apples or pears, she says they taste just like candy so your tots will probably love them! You can’t have Apple week without an applesauce snack so be sure to check out Sarah’s recipe for crockpot applesauce she even shows you how to can it too. I’ve made apple sandwiches before but I’ve never made tuna and apple sandwiches using an apple as the sandwich! This idea from Erin is just perfect for apple week. Next PostNext 9 Easy Leftover Turkey Casserole Recipes That’ll Make You Look Forward to Dinner!